As technology continues to rapidly evolve, business leaders are constantly challenged with finding which emerging technology will become the next industry game changer. Trends in new and existing technology coupled with massive changes in the technology industry are creating a more distinctive role for CIOs in all industries. During the panel discussion, the technology leaders combined with both solutions providers and end users will discuss with us about the Global Technology Outlook that provides a comprehensive overview of advances in technology and share their views into how new technologies can be applied in their marketplace, and how they are expected to change and create new industries and businesses in the process. 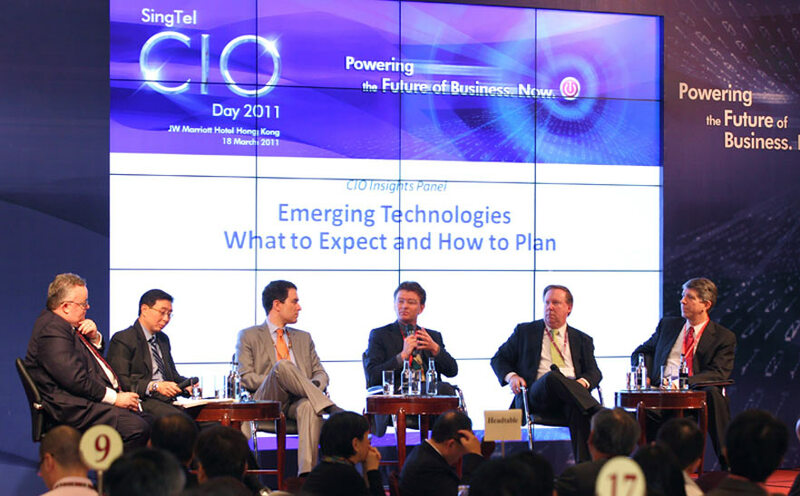 The CIO and the Emerging Technolgies – Threat or Opportunity? Henk Ten Bos, CIO, Ageas Insurance Company (Asia) Ltd.